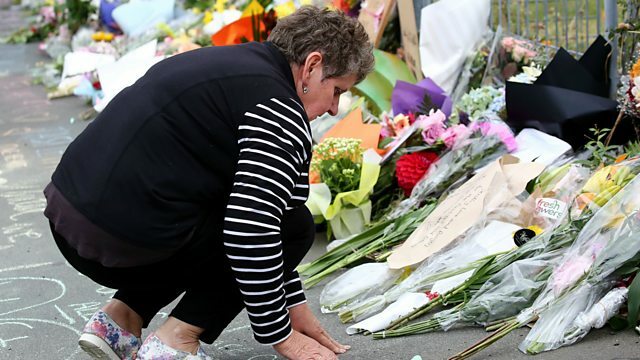 BBC World Service - Newshour, Will New Zealand change its gun laws? Will New Zealand change its gun laws? New Zealand's prime minister has called for a change in gun laws, but will the gun lobby accept that ? Following shootings at two mosques in New Zealand that killed 49 people, New Zealand's prime minister has called for a change in gun laws, but will the gun lobby accept that ? Also on the programme: Five years after Russia annexed Crimea NATO tells us it was part of a grander plan of Russian expansionism; and the app that helps parents with a terminal diagnosis record messages for their children - but should all parents do it as a precaution?